I get a huge kick out of a Facebook group called I Homeschool and I Teach the Science of Evolution. In their posts, members ask each other, “How do you approach concepts like evolution? What about the Big Bang?” They trade recommendations for resources, including, for example, Howard Hughes Medical Institute’s incredibly rich BioInteractive resources, or the Big History Project. 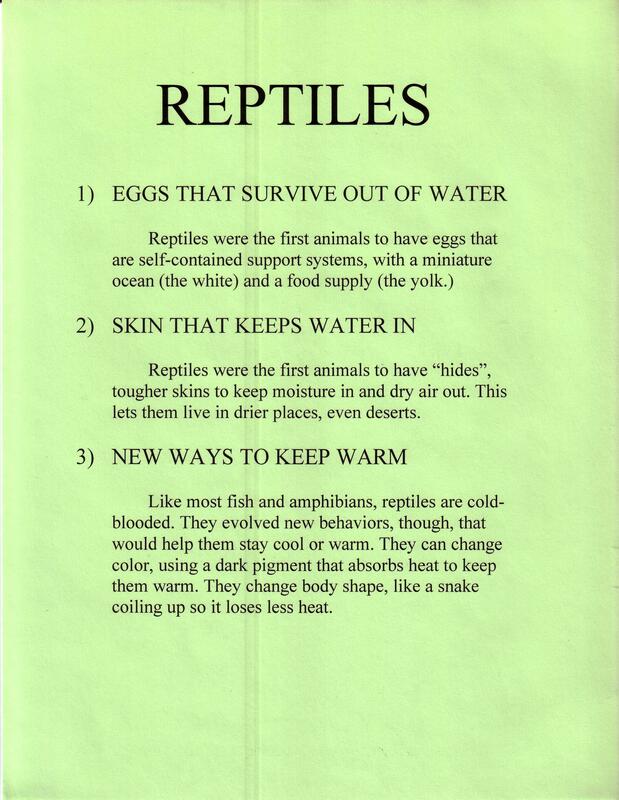 When I started exploring evolution with ten to twelve-year-old students in 1991, the resources available to me were few, but fabulous. Our experience as students and teachers of evolution began with The Voyage of the Mimi. 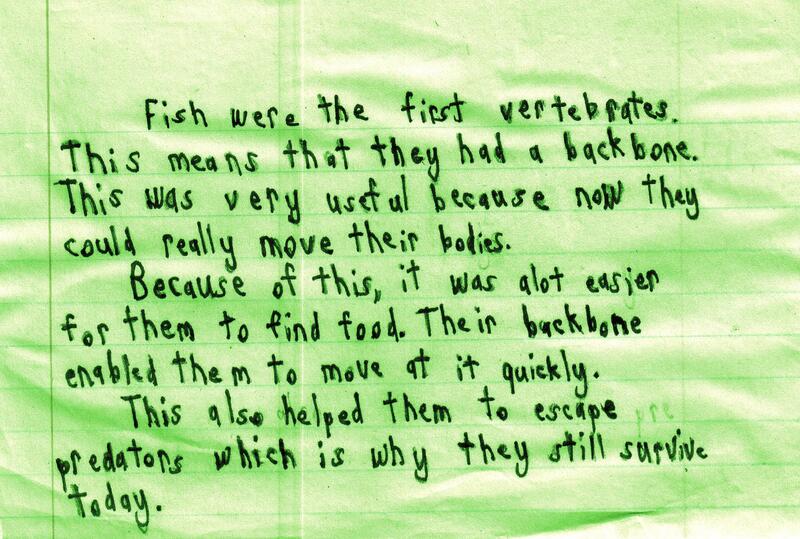 Published by the Bank Street College Project in Science and Mathematics in 1984, this sequence of video story episodes and documentaries engaged students with fundamental biological concepts by focusing on the evolution, physiology and behavior of whales–and kids ate it up. Aspects of the series feel a little dated now, thirty years on–but the Mimi remains an excellent platform for evolution studies, for children even as young as five or six. The right books and videos can be such a boon–especially if children and adults are able to explore them together, working at a pace that allows for plenty of mulling and questioning. Still, if you stop with just reading and watching, talking and writing, you’ll miss the benefit of more active, hands-on learning. 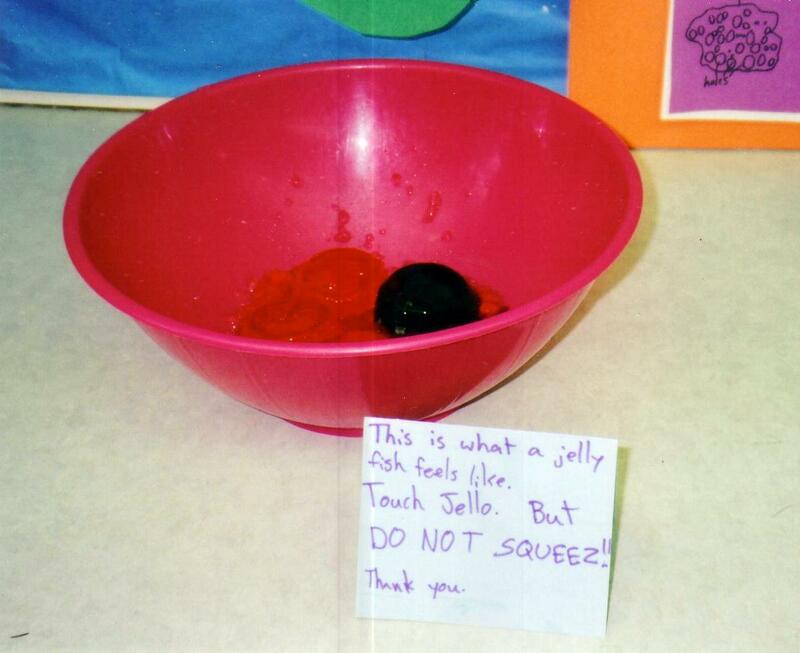 In order to construct their own real understanding of challenging topics, kids need chances to build, create, arrange–or jump up and pretend to be a jellyfish. If you’re going to tackle understanding our strange and wonderful universe, you need some serious playfulness. 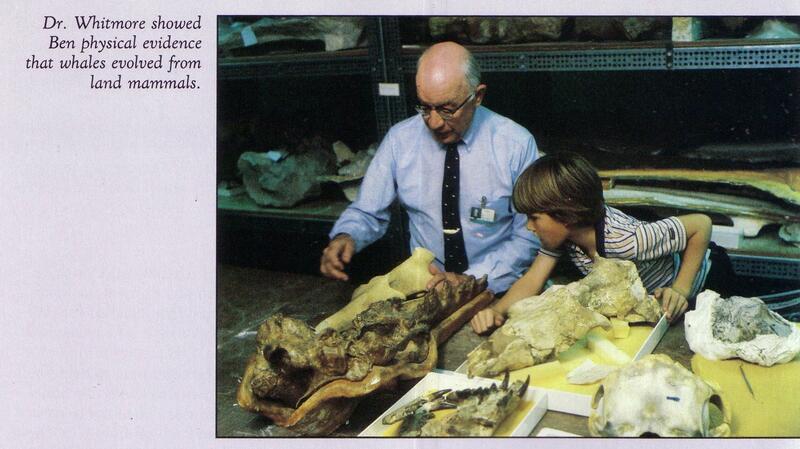 The Evolution Treasure Hunt took a hands-on approach to the history of life on earth. Working together, we created and set up a series of stations–some in our own classroom, some in other classrooms (by teachers’ consent) or in public areas of the school. (I imagine a network of homeschoolers going from house to house.) Weather permitting, we located some stations outdoors. As they moved from station to station, students followed a series of innovations affecting body-plan, reproduction, metabolism, and behavior, over the past 3.5 billion years. Here are four kids in the Common Room, learning from the Land Arthropods station, about the radical innovations of breathing air, and flying. The power of this experience lay largely in the kids’ role in its preparation. 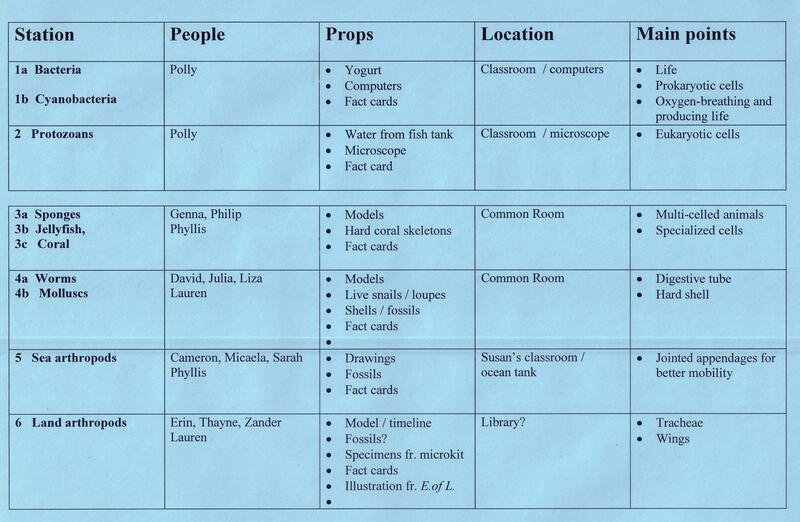 I did put together some of the stations, often using materials generated by students in previous classes. As many stations as possible, though, were researched, designed, and created anew, by groups of students in each class. If you’ve read much of my blog–or if you were there!–you can guess that we worked on the station displays in projects time. 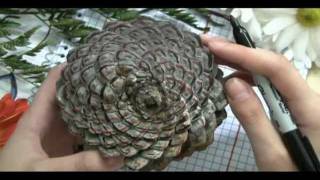 The chart also shows that we ignored plants that year, which is sad–but teachers and students are always having to leave things out, in order to explore other things in satisfying depth. The simplest display consisted of representations of the target group of plants or animals, and the approximate time of that group’s first appearance, along with a brief written summary about particularly important innovations for surviving and thriving. 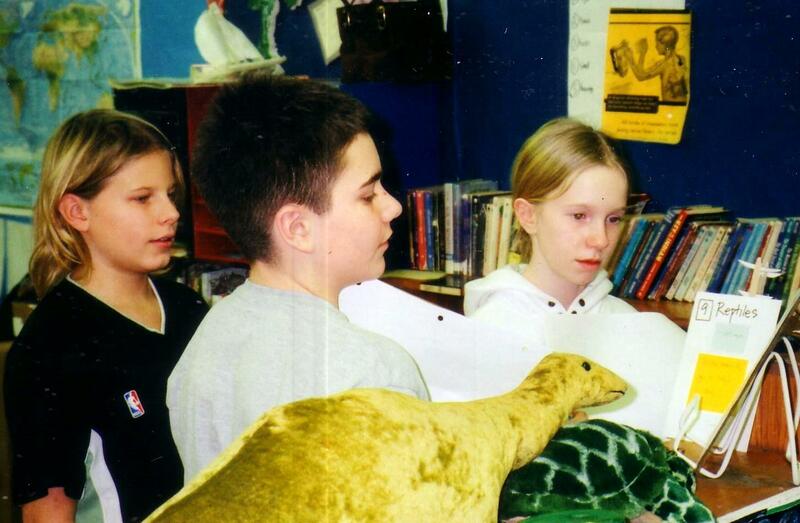 Here’s a group of students at the reptiles station, with Bili the dinosaur, one of the class mascots, reading along. Sarah Stein’s Evolution Book served as a spirited and comprehensive reference for all this history of life on earth. At first, I assigned full sections of the book as background reading. Then, in a year with a somewhat younger class, I created simplified versions of the text by copying, cutting and pasting–a lot of work, but worth it, to make this excellent resource usable for my students. Each group, in turn, created their own very simple version, with their sense of the high points, for their station in the treasure hunt. Below, one of those cards I kept reusing for later classes. Each student read several pages of challenging text very carefully, with small group support. Then they worked as a group with that chunk of information, to summarize it on behalf of the full class. During the treasure hunt, each student observed and interacted with the displays, read a summary for each group of animals, took some notes on a specially designed chart, and also collected, station by station, a set of summary cards to keep. Here’s one group’s poster about some crucial characteristics of sea arthropods. This might have been the year we had a live lobster present, thanks to parent volunteer Carol Liasson. A favorite memory, from a projects time sharing: drafting enough other students to make it work, the sea arthropods group embodied the jointed appendages of a lobster, bending and swaying in articulated splendor. 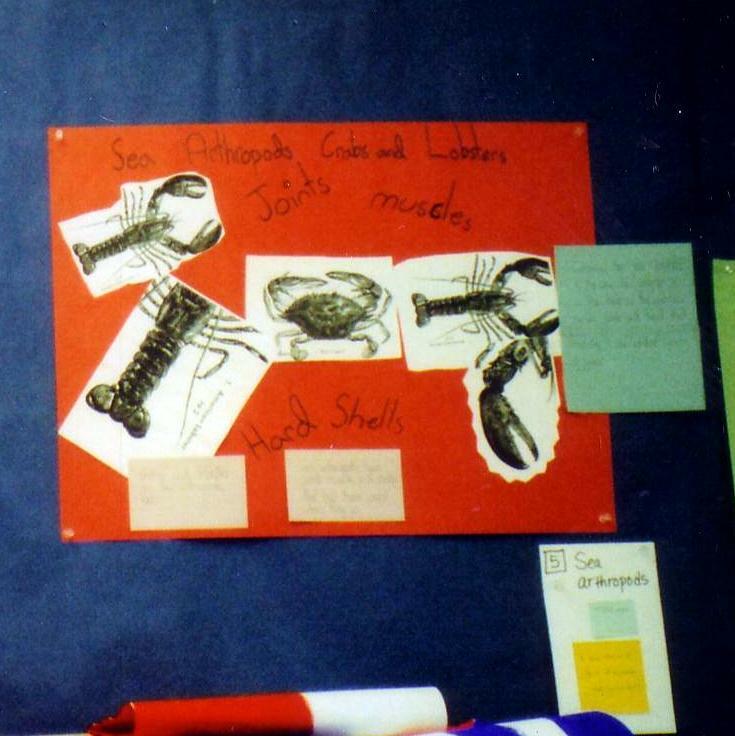 In order to create an effective display, a group had to understand the payoff for the evolutionary development they were representing–and they had to figure out how to make that evident to other students. Almost always, groups came up with displays that provided for active viewer participation: a model to manipulate, or a microscope view of water from Julie Olsen’s swamp tank, full of protozoans; or jello to touch, as evidence of the state of matter, somewhere between solid and liquid, of jellyfish. Early in the evolution of the Evolution Treasure Hunt, students convinced me that I couldn’t call it a treasure hunt without some kind of treasure at the end. So we munched on animal crackers from individual boxes, while holding the invaluable end-of-treasure-hunt debrief. I asked, “What new ideas stood out for you? 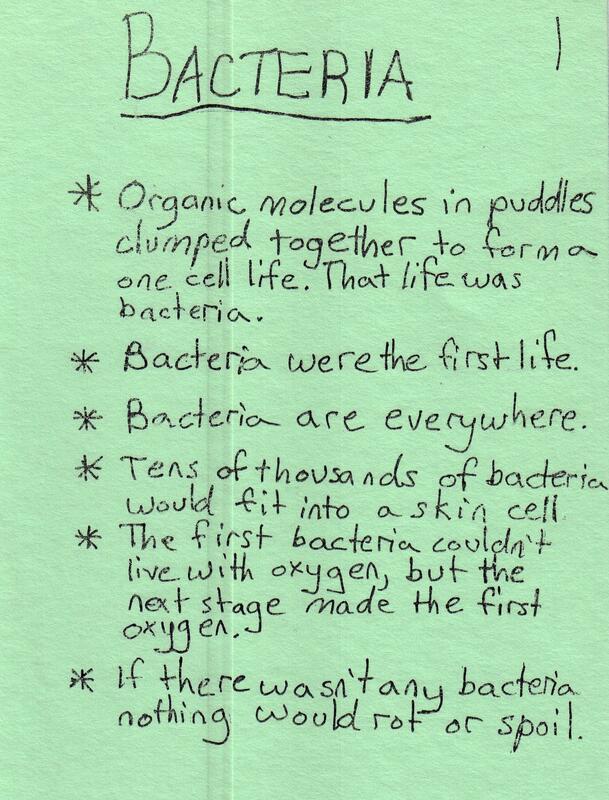 (In other words, in your new-formed opinion, what are some surprising moments in the history of life on earth?) 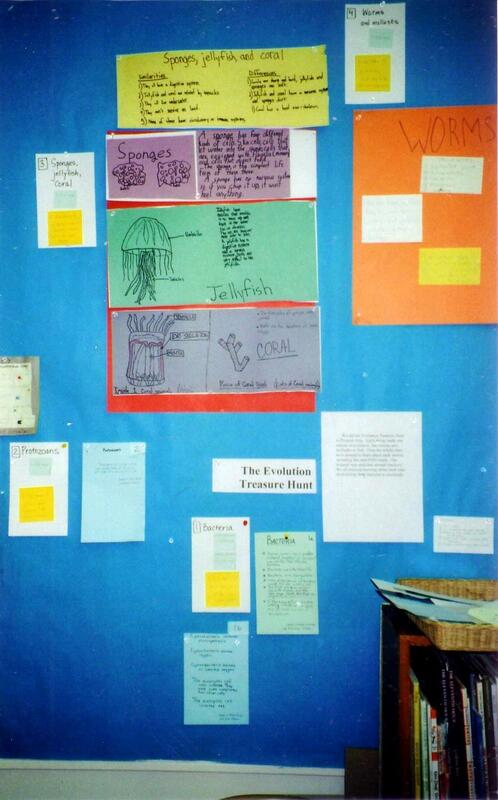 What were some things you especially admired in other groups’ displays?” To make sure everyone got to be evolution critic for a day, I usually went around the room, kid by kid. As always, their synthesizing comments were the very best part of the whole shebang. 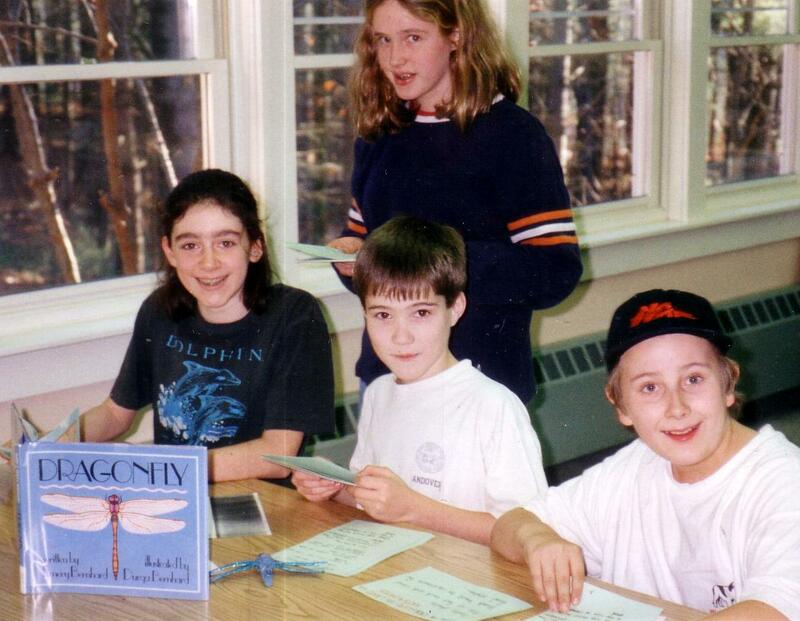 Other experiences helped students think about other aspects of evolution, including the mechanisms and processes by which it happens. Other books and videos helped them, and me, arrive at clearer and clearer understanding. Maybe I’ll come back to that? A last photograph for now. One year, after the treasure hunt was over, we compressed simplified versions of all the stations onto the largest available bulletin board. So here’s a partial view of that colorful grand parade of life, for sure and certain a cause for celebration. 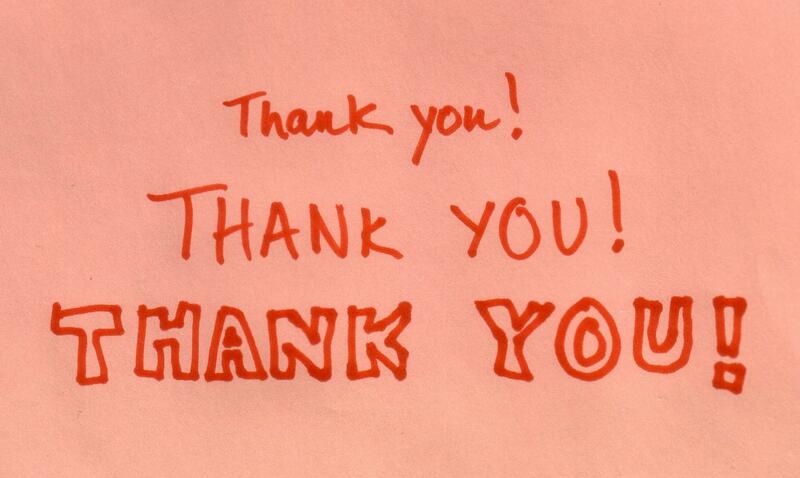 My most recent post, about math mentors and math fun, was the 25th on this blog. The calendar year is about to turn; I’m a little less than halfway through my year to think it over. Time for a mixed salad of quick thoughts, including some resolutions. with a magic number sequence that started with the number and returned to the number. with words that describe other properties of the number: it’s odd (or even); it’s prime (or composite); it’s a palindrome; it’s deficient or abundant or perfect. These various statements, written on the whiteboard, both documented learning and provoked it. Although we focused on the same numbers again and again, the activity was repetitive only in the way ritual has to be repetitive: a pattern similar in every iteration, but never actually identical; a shared dance in which roles can change and change again; a bowl or basket or web for both familiarity and innovation. If I forgot to include the number ritual in our celebration of someone’s birthday, or if we ran out of time before dismissal, the kids insisted that it be carried over to the next day. Remembering my students’ affection for the ritual, and remembering the way every student participated, I feel like I’m holding some important key to who they were, and are; something hard to put into words; a treasure. I’ve been tickled to have the posts about My Place get a steady trickle of hits from Australia, so I did some behind-the-scenes backtracking. In the process, I found a wonderful collection of material relating to Nadia Wheatley, with an author interview, curriculum plans, and reviews of some of her other books–and a link to my own post about My Place, down towards the bottom. Great stuff! 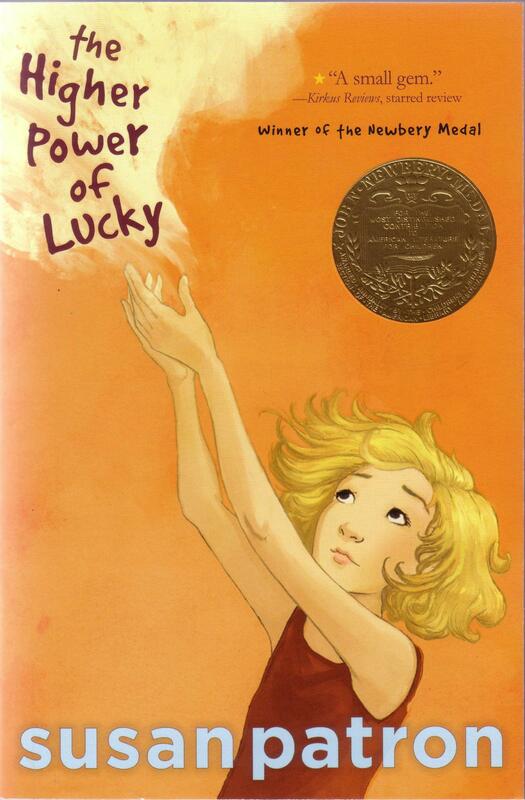 I would read aloud The Higher Power of Lucky, the first in a series of three novels about a girl named Lucky in a town named Hard Pan, in the Mojave Desert. Living in a very small town, Lucky has memorable friendships with both kids and grown-ups. She eavesdrops on twelve-step anonymous meetings, hoping to hear the advice she needs. She hopes seriously for an afterlife, because there are some questions she would like to ask Charles Darwin. (She has a dog named HMS Beagle.) She’s cranky and impulsive and imperfect and worth a million dollars, and she’s part of a new sub-sub-genre of realistic contemporary fiction for young adults, in which characters think about biological evolution and what it means, and interact sympathetically with adults who can’t or won’t. “If” thought # 2: I would figure out how a class could use the latest book by Alice Roberts, the charismatic anthropologist and medical doctor who narrates a BBC video series (which we did use in class) called The Incredible Human Journey. 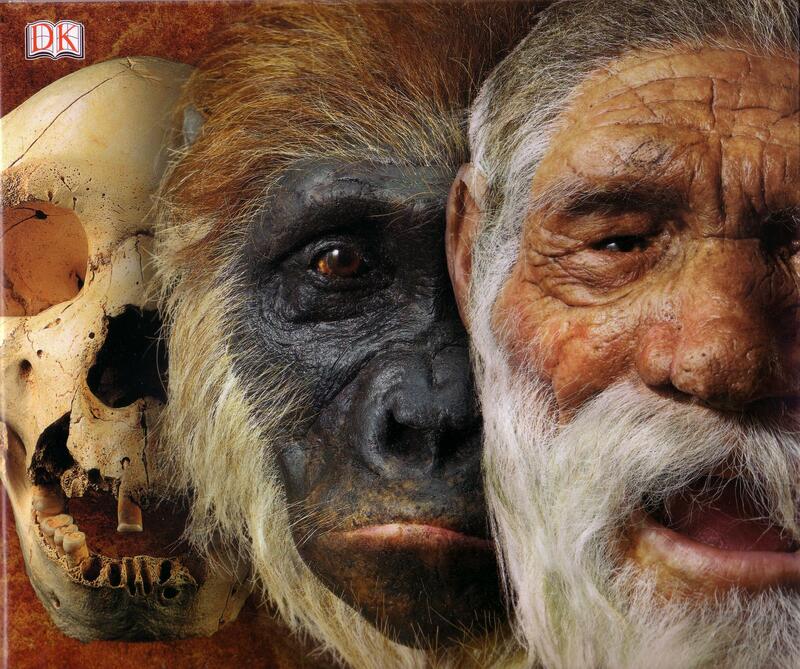 Alice’s new book (we pretend to be on a first-name basis with her, in my household), published by Dorling Kindersley, is called Evolution: The Human Story. It uses narrative, model reconstructions, photographs, illustrations and charts, to take the print medium’s slower-paced (but thrilling) look at the history of our species, starting with the Big Bang. Such a rich resource for a class to use! A third “if” thought: I would explore the idea of privacy, which matters a lot to 11- and 12-year-old people, and keeps coming up in the news. and about the making of Voyage to the Sea. Instead of writing about evolution, I guess, I’ve been evolving. (I know; I’m using the word in two of its different senses.) Somehow I’ve had to work up to those topics, and also work down with them. They’re all so huge for me, giant human artifacts around which I’ve spent all these years crawling, like an ant in the jungle, climbing up and looking around whenever I felt brave, or whenever a student was nudging me onward. However, I’ve just made that list. I’ve included some of it sideways, in this mixed salad post. I’m pledging myself to figure out ways of exploring those giant thoughts in 1000 word packets, before my year to think it over is over. I welcome, and probably need, suggestions from readers who shared those themes with me as student or parent or colleague or cheerleader. If you were writing this blog, how would you tackle all that big stuff? Just askin’. Recently, my daughter has been sharing a website or movement called Lean In, which encourages women to lean into their ambitions, to overcome fears and take risks, with each others’ support. I take a big breath and “lean in” every time I publish one of these posts, and I’m inviting you to lean in with me, women and men (and girls and boys)–whatever that may mean for you.